LankaWeb – මහින්දව විදුලි පුටුවෙන් බේරුවා කියන, රනිල්ගේ දිව දෙකේ බොරු හෙළිදරව්ව.
. (i). මේ අලුත් යෝජනාවලියේ තිබෙන තවත් වැදගත් දෙයක්‌ තමයි අපේම යාන්ත්‍රණයක්‌ මගින් යුද අපරාධ සම්බන්ධයෙන් පරීක්‍ෂා කිරීමට ලංකාවට ඉඩ ලැබීම. පසුගිය ජනාධිපතිවරණයේදී මෛත්‍රීපාල සිරිසේන මහතා බලයට එන්නේ ප්‍රජාතන්ත්‍රවාදය සහ සංහිඳියාව ඇති කරන්නටයි. අපේ වැඩපිළිවෙළ නිසා හිටපු ජනාධිපතිතුමත් විදුලි පුටුවෙන් බේරෙනවා. හිටපු ආරක්‍ෂක ලේකම්තුමත් විදුලි පුටුවෙන් බේරෙනවා.” යැයි රනිල් වික්‍රමසිංහ මහතා පැවසූ බව 2015/09/28 දිවයින පුවත්පතෙන් වාර්තා කර තිබේ. (iii). අපේ රටේ කිසිවෙකු විදුලි පුටුවේ වාඩි කරවන්න බැරිනම්, දේශීය යැයි කියන යුද අපරාධ යාන්ත්‍රණය නිසා මහින්ද රාජපක්ෂ මැතිතුමාව විදුලි පුටුවෙන් බේරන්න තමන්ට හැකි වුණා යැයි අලුතෙන් කියන්න දෙයක් නැත. මොකද 2014 දී රනිල් පැවසූ කාරණාව අනුවනම් මහින්ද රාජපක්ෂ මහතා 2003 සිටම විදුලි පුටුවෙන් බේරිලා අවසන් විය යුතුයි. ඒ අනුව 2015 දී රනිල් වික්‍රමසිංහ මහතා පවසන දේ ඇත්තක්නම් 2014 දී කියා ඇත්තේ පට්ට පල් බොරුවකි. 2014 දී කියපු දේ ඇත්තක් නම් 2015 දී කියන දේ පට්ට පල් බොරුවකි. ඒ දෙකම ඇත්ත වීමට හැකියාවක් නොමැත. නමුත් දෙකම බොරු විය හැකියි. ජිනීවා මානව හිමිකම් පිළිබඳ ලංකාව සම්බන්ධව යෝජනාව සකස්‌ කරන්න ලංකාවෙන් දායක වන්නේ මංගල සමරවීර හා විජයදාස රාජපක්‍ෂ ඇමැතිවරුන් දෙදෙනා බවත් මේ දෙදෙනා දකුණේ මිනිස්‌සු නිසා දකුණේ අය වන මහින්ද රාජපක්‍ෂ හා ගෝඨාභය රාජපක්‍ෂ මහත්වරුන් අමාරුවේ දැමීමට ඉඩ නොදෙන බවට අගමැති රනිල් වික්‍රමසිංහ මහතා පෙරේදා (27 දා) මාධ්‍ය ආයතන ප්‍රධානීන් හමු වූ අවස්‌ථාවේදී කර තිබෙන ප්‍රකාශයට පිළිතුරු දෙමින් ගම්මන්පිල මහතා මේ බව පැවසීය. ඒ අනුව එදා යුද්ධයට එරෙහි වූවන් බහුතරයගෙන් සැදුම්ලත් වත්මන් ආණ්ඩුව මහින්ද රාජපක්ෂ මහතා කෙරෙහි කිසිදු තැකීමක් නොකරන බව පැහැදිළි වෙයි.
. රෝම ගිවිසුම අත්සන් නොකළේ තමන්ගේ වුවමනාව නිසා බව රනිල් වික්‍රමසිංහ මහතා පවසයි. මෙයද පට්ට පල් බොරුවකි. මෙන්න මූලාශ්‍රය (2014 දී කියපු බොරුවට පිළිතුරු). ලංකා ඉතිහාසයේ කීර්තිමත් රාජත්‍රාන්ත්‍රිකයෙක් වූ ලක්ෂ්මන් කදිරගාමර් මහතාට හිමි විය යුතු ගෞරවය වෙන අය සොරාගැනීමට හැදීම ගැන අපි කණගාටු වෙමු. ශ්‍රී ලංකාව රෝම සම්මුතියට අත්සන් කර නොමැති නිසා හමුදා නායකයන්ව ජාත්‍යන්තර අධිකරණය වෙත ගෙන යැමට බැරි බවට ඇතැම් දේශපාලකයන් විසින් ප්‍රචාරයක්‌ දියත් කර තිබේ. එහෙත් ජාත්‍යන්තර අධිකරණයට ගෙන යැමේ කොන්දේසි මෙසේයි. 2. අපරාධ ක්‍රියා සිදුවූයේ සම්මුතියට අත්සන් කළ රටේ භූමිය තුළදී වීම. 4. චෝදනා මගින් යුද අපරාධ සිදුවී ඇති බවට සනාථ වීම. ඇමරිකාව ප්‍රමුඛ බටහිර රටවල් විසින් ශ්‍රී ලංකාව ජිනීවා මානව හිමිකම් කවුන්සිලයට යොමු කළේ මෙම සිව්වැනි කරුණ අනුවයි.
. මහින්ද රාජපක්ෂ මහතාට එරෙහිව කටයුතු කරන්න බටහිරයන් මීටත් වඩා බරපතල උත්සාහයක් දැරුවේ මානුෂික මෙහෙයුමේ අවසන් කාලයේ සහ අවසන් වූ පසු වසර කිහිපය ඇතුළතදීයි. නමුත් එවකට චීනය සහ රුසියාව යන ලෝක බලවතුන් දෙදෙනා සමග මහින්ද රාජපක්ෂ මැතිතුමා ඇති කරගෙන තිබූ දැඩි මිත්‍රත්වය නිසා මානව හිමිකම් චෝදනා නිශේධනය කිරීමට හැකි විය. වර්තමානයේ මහින්ද රාජපක්ෂ මැතිතුමා ජනාධිපතිව සිටියානම් වත්මන් ආණ්ඩුව මෙන් ජාත්‍යන්තර පරීක්ෂණ අභ්‍යන්තරව පවත්වමින් අහක යන නයි රෙද්ද අස්සේ දාගේන්නේ නැත., ලෝක බලවතුන් දෙදෙනාගේ නිශේධ බලය යොදවා පසුගිය පෙබරවාරි වලදීම මෙම යෝජනාව පරාජය කරනු ඇත. 3 comments to මහින්දව විදුලි පුටුවෙන් බේරුවා කියන, රනිල්ගේ දිව දෙකේ බොරු හෙළිදරව්ව. තොරතුරු දැනගන්න අයිතිය නැති කරමින්…! පෙන්විය යුතුය යහපාලන නඩය හට…! රට රැකි රණවිරුන් අප එක්වී රකිමූ…! කල මෙහෙයට ඔවුන් ‘සුරකිමු’ හැම කලට…! සුරකිමු ඔවුන් ‘අප සැම ජීවිත පුදලා’…! අද දේශප්‍රේමීත්වයක් ගැන කිසිදු කතාවක් නැත.දේශමාමකත්වයෙන් යුතුව අප මවු රටට වීමට යන දැවැන්ත විනාශය ගැන කතා කරන දේශමාමක බලවේග අද දේශද්‍රෝහීන් වී ඇත.ඔවුන් වර්තමාන රජය පෙරලා දැමීම සඳහා විවිධ කතා ජනතාවට කියනවාය කියා වර්තමාන පාණ්ඩුවේ සම හරක් කොටස් චෝදනා කරයි.ඒත් ඇත්ත එය නොවේ.තමන් උපන් මවුබිම ගැන සැබෑ ම කැක්කුමක් ඇති මිනිසුන් අද ඇමතිප්‍රේමීන් නොවී රට වෙනුවෙන් තවමත් තම පණ ගැහෙන හදවතින් තම සුජාත හඬ අවදි කරයි.ඇමතිකටු පස්සෙ ගිය ඇමතිප්‍රේමීන් අද රටට හෙණ ගහලා ගියත් රටට අහිතකර බලපෑම් ගැන කිසිදු කතාවක් නැත. වර්තමාන පඹ පාණ්ඩුව අහක යන නයි රෙද්ද අස්සෙ දාගෙන මේ බිමට නැවතත් අහිතකර අධිරාජ්‍යවාදීන්ගෙ සපත්තු ලෙවකමින් යන යුගයක මුල පිරීමක ආරම්භයක් ලබාදෙමින් ඇත. අහක යන නයි රෙද්ද අස්සෙ දාගෙන කනවෝ..කනවෝ කියා කියනවා වෙනුවට හරි සනීපයි කියයි.ඇත්ත..ඔවුන්ට සනීපය..රටට අසනීපය. එදා මහින්ද රාජපක්ෂ ජනාධිපතිතුමා මේ බිම කුරිරු මිනීමරු බෙදුම්වාදී ත්‍රස්තවාදයෙන් බේරා ගැනීමේ දී සුජාත දේශමාමකත්වයෙන් යුතුව පැවසුවේ පළමුවත් රට,දෙවනුවත් රට,තෙවනුවත් රට කියාය. එහෙත් අද මේ රටේ ඉන්නෙ පළමුවත් බඩ,දෙවනුවත් බඩ,තෙවනුවත් බඩ ම තමයි කියා මහින්ද රාජපක්ෂ නැමැති එම දැවැන්ත දේශමාමක නායකත්වය පරාජය කිරීමට තව දිවි පරදුවට තබා සටන් කරපු ඇමරිකන්ප්‍රේමී පිටකොඳු බිඳගත් ඔලමොල නිවටුන් හා ඔවුන්ගෙ කීම එක පයින් පිලිගෙන දැවැන්ත නායකත්වය බිඳ හෙලීමට කටයුතු කළ කෘතගුණ නොදත් රටක් ගැන නොසිතන ජනතාවයි. From what I have heard according to Human Rights Watch’s South Asia Director Meenakshi Ganguly they the Indian Empire’s most important target is Gota. 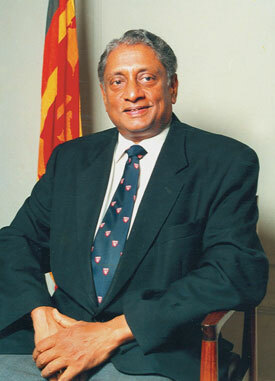 They are after Mahinda and others but Indian Empire’s most wanted is Gota. හියුමන් රයිට්ස් වොච් ආසියා ඩිරෙක්ටර් මීනක්ශි ගන්ගූලි අඟවන විදියට ඉන්දියානු අදිරද ජඩයින්ට පලමුව ඕනෑ ගෝටාය. මෙම ඉන්දියානු පලිබෝදකය ටයිම් සඟරාවේ වැඩකරන කාලයේ මහින්දව මුනගැසී වාර්තා කර ඇත. Our stupids who believed this liar will suffer immensely in the future because of his and his Govt policies. First time in the world a loser in an election becomes a Minister. Appointing a Prime Minister when there is already a Prime Minister. Appointing a Chief Justice when one is already in place. These things should go to Guinness book of records undoubtedly. From Jan8th onwards most of the actions they took regarding Governance was illegal. They did everything by force acting like Dictators. Once a peaceful country is now in shambles due to the Dictatorial rule of Anti Sinhalese rulers. The country has become a paradise for gangs and murderers which we haven’ seen for several years for some times in the past. Bank robberies,murders,gang rapes,kidnapping,Child molesting,Child murders,gang fights which were past memories now come in to reality again with this Jarapalanaya after Jan 8th. Why can’t our citizens do not understand the difference then and now? How can they believe these liars and go on believing them after all what has happened to the country after Jan 8th? Did we get what they promised? Did they low down the prices of essential foods? Did they give you the promised salary increase? Where is the cheap medicines they promised? Do you remember the lies they uttered to get your vote? Are you happy with Yahapalanaya or are you fed up with it within a month or so? If you are fed up join with Sinhala Patriots for a true change and to live in Peace. As well as the absolute disgust felt when hearing the demented rantings of the current prime minister, its equally disheartening to see a newspaper like the ‘Divayina’ taking a 180 degree turn in its policies. Just reading the divaina editorials is so nauseating that personally, I have stopped reading their website. Why give them even a couple of cents of earnings by visiting the site and earning them money through the embedded ads? This entry was posted on Tuesday, September 29th, 2015. You can follow any responses to this entry through the RSS 2.0 feed. You can skip to the end and leave a response.